Susan Dubrofsky followed Kate Browne to different sites around the city where Kate narrated their particular history. This building, at 3778 Saint-Denis, was the first location of Sainte-Justine Hospital, which was founded in 1907 by two very unusual women. One of them, Irma Levasseur, was actually the first French Canadian doctor to work in Quebec. She wasn’t able to study medicine in Quebec, because the only place they took women at the time was Bishop’s, where the medical faculty wasn’t very good. McGill was closed to her and so was the Université de Montréal. So she went to Minnesota to get her medical degree. When she came back, she still wasn’t able to practise medicine because the Collège des médecins was not allowed to accept women, so she had to ask the National Assembly to pass a private bill passed allowing the College to accept her as a doctor. This woman was fighting against incredible odds. In 1903, the bill was passed and she was then allowed to practice in Quebec. Irma Levasseur was originally from Quebec City. When she came to Montreal, she was appalled by the infant mortality rate and the terrible health conditions she found in working-class neighbourhoods. She met another woman, Justine Lacoste-Beaubien, who was from a well-to-do French Canadian family, and they decided to start a hospital. The hospital still it exists today – it is a children’s hospital, Hôpital Sainte-Justine. In 1907, when they opened the hospital, the infant mortality rate in Quebec was one of the highest in the developed world. One infant in three died within a year of birth. At the time, you would have to go to Shanghai or Calcutta to find a similar infant mortality rate. They opened the hospital in this building on Saint-Denis, there were twelve beds. The building belonged to a senator, Damien Rolland, who was a friend of the Lacoste family – the Lacostes were very well-connected. Irma Levasseur lived on the top floor and took care of the children. 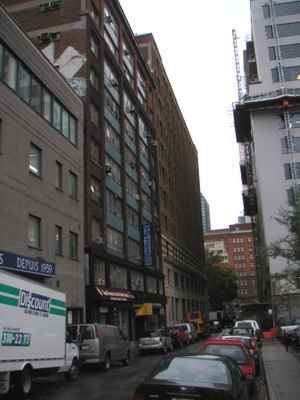 These buildings are part of the 1930s garment district. There were many bitter labour conflicts in the garment industry during that decade because the working conditions were so bad. The women worked really long hours and had substandard pay. There was a minimum wage law at that time, but it was not enforced. Most of the companies were small sweatshops – there were a few bigger companies, but in general the garment industry was made up of small businesses. Often these companies wouldn’t last long. They would fold after less than ten years and then new ones would open. In the early 1930s, most of the women working in the garment industry were Jewish and most of the owners were Jewish too. Then there was a big strike in 1934. After that the owners, who were Jewish, said: “We don’t want these Jewish women anymore, they make way too much trouble! From now on, let’s hire French Canadian women – they are good Catholics and won’t go on strike!” So then, there were French Canadian and Jewish women working side by side. But the owners’ idea didn’t work, because the French Canadian women did go on strike along with the Jewish women. And this was because of an incredible organizational job that was done by the International Ladies’ Garment Workers’ Union. They sent a woman from New York, Rose Pesotta. Rose said, “This will never work if we don’t reach out to all the women. I need someone who can do talk to everyone”. Ted Allan said, “I know someone, her name is Lea Roback She works at the Communist bookstore. She’s not a union organizer but she’d be good at. it.” Lea Roback, one of the most beloved figures in Quebec labour history, was raised in Beauport near Quebec City – she spoke French, Yiddish and English. Lea, Rose and many other organizers worked together for months, and in April, 1937, the strike began. Five thousand women walked off the job, and the strike lasted twenty-five days. They had planned it so the strike began just at the time when work was starting on summer dresses, and the sweatshop owners knew they would go out of business if the strike went on too long. The women marched in the streets every day with signs and banners, singing. In the end, they won – the union was recognized, and they got a contract. They had been working 60, sometimes 80 hours a week, and they were paid eleven dollars a week, and the new contract said that they would work 44 hours and be paid sixteen dollars a week. The contract was not always respected, they had to keep fighting. But it was a big step forward. 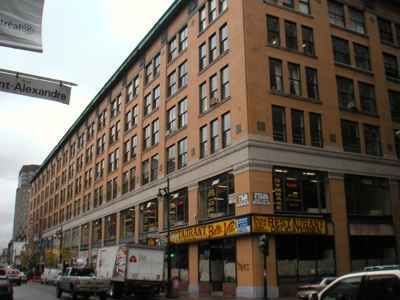 This building on St. Lawrence Street, the Hunan Restaurant, was once home to the Workers’ University – the Université ouvrière. The Workers’ University was started by Albert Saint-Martin in 1925 and lasted until 1936. It moved about four different times, this was just one of their locations. This was a place where workers and unemployed people, with little access to education, could take all kinds of different courses. One of the goals was to provide people with political training, so they could become more politically active. So there were courses in public speaking, political science, organizing, things like that. They also had general courses on topics like Canadian literature, French history or astronomy. It was an adult education center. 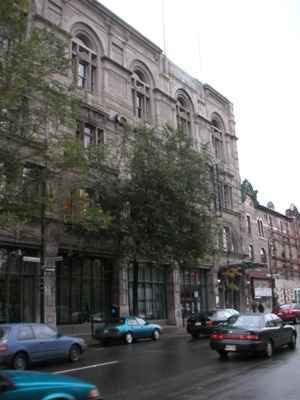 The Workers’ University was hounded by the Quebec government and other right-wing forces. Albert Saint-Martin was beaten up by right-wing students, and the institution’s premises were ransacked several times. The Duplessis government used another kind of tactic. The Workers’ University had a charter as a private library. In 1933, Duplessis revoked the charters of all the private libraries in the Province of Quebec and everybody had to reapply to get a new one. When they reapplied, everyone got a new charter except the Workers University. What a complicated maneuver just to squish one little organization! I guess they were finding the Workers’ University pretty scary! It eventually closed in 1936. Albert Saint-Martin had all kinds of other projects, he founded a socialist party in Montreal in 1904, he was an advocate of Esperanto, he started co-operative stores, and for many years he was the chief organizer of Montreal’s May Day parade. This building, the Monument National, was the location in 1903 of the city’s first French-language public library, which was called the Bibliothèque technique. At the time, Montreal was the largest city in Canada, the Canadian metropolis, and it did not have a public library. This was a very strange situation. There were people who wanted to create a library and people who were opposed to it. The Catholic Church was opposed to the project. Church officials believed that people ought not to have access to books that were not selected by the Church. In 1902, there was a debate about the library project, because the Carnegie Foundation offered Montreal 150,000 dollars to create a public library. The city turned down the offer. In 1903, there was a compromise solution: the city opened a technical library sponsored by the Chamber of Commerce. The idea was that a technical library would not contain subversive books. The first librarian was a woman named Éva Circé-Côté, an unusual woman who was a writer, she had written poems and essays. Later on, under a male pen name, she wrote a newspaper column dealing with labour issues. In 1903, she became the librarian of the Technical Library. But nobody was really satisfied with the compromise solution. For those who wanted a real public library, a technical library was not good enough. And for the Church, even the technical library went too far. In 1907, the Bishop of Montreal complained to the city council: “You’re supposed to be a technical library, so why do you have all these books by Victor Hugo, George Sand and other writers who are on the Index?” Of course, these were books selected by Circé-Côté! They got rid of her then as being too subversive. The City finally opened a real public library in 1917. 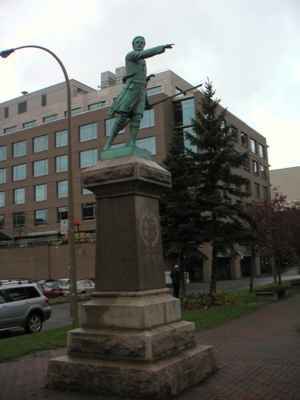 Until this year (2005), it was located on Sherbrooke, near the corner of Cherrier. Now it’s been replaced by the Grande Bibliothèque. This is the statue of Chénier, one of the leaders of the Patriote rebellion of 1837-38. He was killed in Saint-Eustache. The 1837-38 rebellion is sometimes presented today as if it were essentially a French-Canadian nationalist movement. If we look at the Patriotes in the context of their own time, we see something different. The Patriotes represented the liberal, bourgeois, democratic revolution -- part of an international struggle for liberal democracy, for human rights, and against colonial regimes. They were inspired by the American Revolution, the French Revolution, and the Bolivarian revolutions in South America. Not all Patriotes were French Canadian – in Montreal, 25% were English-speaking. A number of Patriote leaders, including Dr. Wolfred Nelson and his brother, Robert Nelson, were English-speaking. And in Upper Canada (that is Ontario today), citizens also rebelled against the British government. It was essentially an anti-colonial movement: people wanted the government to be accountable in Canada, they refused to be governed from London as a colony. As for the Patriotes’ political programme, it included many things that most of us would find quite obvious today: abolishing slavery, giving voting rights to native people, and full manhood suffrage. On the other hand, the Patriotes did not want women to vote, which is certainly a blemish on their record. Female property-owners were actually entitled to vote in 1830s, and the Patriotes campaigned to make it illegal for women to vote. They were also divided on the issue of land reform. Some, like Robert Nelson, wanted to abolish the seigneurial regime, others including Papineau wanted to maintain it. 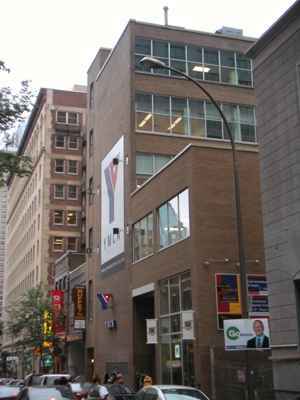 This is the YMCA building on Stanley Street. In the 1920s, Idola Saint-Jean taught elocution at the Y and also taught French at McGill University. Idola Saint-Jean was a key figure in the struggle for women’s suffrage in the province of Quebec. In 1940, Quebec became the last Canadian province to give women the right to vote. Idola Saint-Jean had founded an organization in 1927 to campaign for women’s suffrage. Every year, the women went to Quebec City to present a petition, which was turned down every year until 1940. Idola Saint-Jean came from a middle-class background, but her father died when she was fourteen, and she had no money. She had to earn her own living and that’s why she became a teacher. During the terrible Spanish flu epidemic of 1918, she organized a committee to help the sick and dying, and she adopted a little girl whose parents died in the epidemic. In 1930, she ran for Parliament in the Dorion riding. In the 1930s it was said of her, “if ever women get the right to vote, it will be thanks to Idola Saint-Jean”. 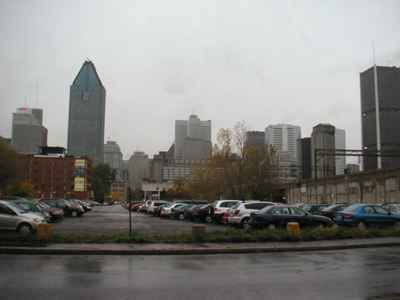 This parking lot on Ottawa Street is right in the heart of Griffintown, an old working class and Irish neighbourhood. This neighbourhood saw the beginning of the industrialization process in Montreal, around 1850. 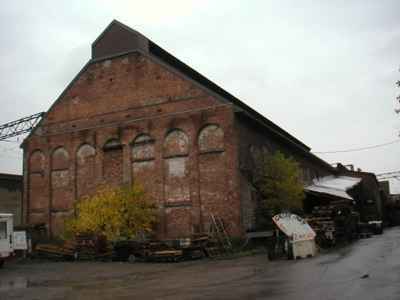 The New City Gas Factory, just across from the parking lot, is one of the oldest factory buildings that is still standing in Montreal. It was built in 1859. Here they burned coal to produce gas that was used to light the city streets. This was before electricity. Griffintown and Point St. Charles on the other side of the canal were the places where Montreal’s proletarian class was born – a proletarian class made up of Irish and French Canadian workers. Working conditions in the factories were very hard. Soon, workers started to establish unions, and union organizing got easier after 1872 when the Supreme Court ruled that it was not actually a criminal offence to belong to a union. In the 1880s, the Knights of Labour came to Montreal, this was the first large-scale union organization in the city. The goal of the Knights of Labour was not just to get better wages for their members, but to transform industrial society. Meanwhile, some members of the bourgeoisie were trying to improve the living conditions of working people. The parking lot across from the Gas Factory was the location of a social housing project called Diamond Court that was created by Herbert Ames, in the late 19 th century. Ames owned a shoe factory in Griffintown. He was a reformer. He could be considered Montreal’s first sociologist, the first person to study the dynamics of the working class neighbourhoods. His book The City below the Hill, published in 1896, was a survey of Montreal’s working class neighbourhoods in the southwestern part of Montreal. Diamond Court provided model housing for workers at a time when they were living in crowded and unhealthy homes, with inadequate sanitation. Ames was nicknamed “Privy” Ames because he wanted workers’ homes to be equipped with toilets. 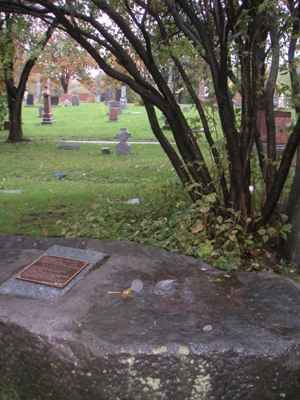 This is the tomb of Joseph Guibord in Notre-Dame-des-Neiges cemetery, the Catholic cemetery on Mount Royal. Joseph Guibord was a typographer who died in 1869. The tomb is quite strange-looking – it’s a kind of cement sarcophagus. Until a few years ago, there was no name inscribed on the tombstone. The tomb was purposely left nameless because at the time of the burial, his family were afraid it would be defaced by his enemies. Guibord’s burial was hugely controversial. To understand why, we need to go back a few years. 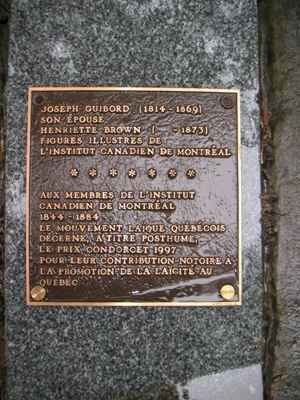 Guibord was a member of an institution called the Institut canadien de Montréal. This organization, founded in 1844, was a meeting-place for liberal intellectuals – basically, the people who had been defeated in 1837-38. They had been defeated, but they were still a very strong movement in 1844. 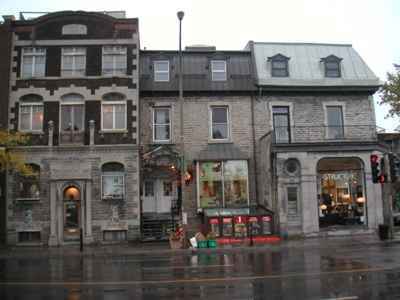 The Institut canadien was the place where they met, debated, argued, and had access to all kinds of books, newspapers and periodicals. From the point of view of the Catholic Church, the Institut canadien was Public Enemy Number One. Monseigneur Bourget, the bishop of Montreal, decided to do everything in his power to destroy the Institute. In 1869, he got the Vatican to say it was forbidden to belong to the Institute. Many people then left. However, Joseph Guibord and some others refused to be intimidated and stayed on. So when Guibord died in 1869, Bourget would not let him be buried in the Catholic cemetery. And Guibord was a Catholic – he just happened to believe in intellectual freedom. So he was temporarily buried in the Protestant cemetery while his widow sued the Catholic Church. In 1874, she finally won – a London court said the Church had to let him be buried, because the family had a burial plot in the cemetery. So then the family tried to bury him – but the funeral procession was attacked by a mob of fanatical Catholics who threw stones at the mourners. They had to turn back before they reached the burial plot. The next time – this was the poor guy’s third burial, really – they came with dozens of police officers to guard the procession. They put the coffin in the earth, then covered it with metal bars and poured concrete on top so that no one would dig up the body. And shortly thereafter, Archbishop Bourget came and deconsecrated the ground around the grave! So this is the only part of Notre-Dame-des-Neiges cemetery that’s not consecrated ground. When L’Autre Montréal comes here, we like to bring flowers. L'Autre Montréal is an educational group established as a non-profit organization in 1983. It emerged from the activities of a housing and tenants' rights advocacy group active in the Plateau Mont-Royal in the 1970s. Guided bus tours proved to be one of the most stimulating and enjoyable ways of getting people involved. Eventually, the tours took on a life of their own and L'Autre Montréal was incorporated as an independent organization. Since then, L'Autre Montréal has developed over fifty tours providing a unique way of discovering a complex urban environment. Immigration and cultural communities, social inequalities and environmental issues are some of the many themes explored by the group. 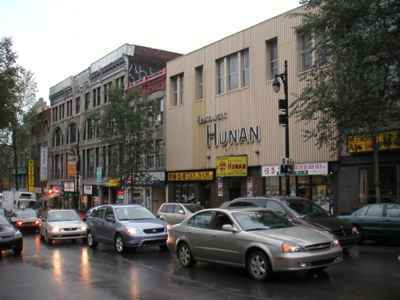 L'Autre Montréal also offers tours of many different Montreal neighbourhoods, from Saint-Henri and Pointe St. Charles to Montréal-Nord or Bordeaux-Cartierville. Kate Browne has lived in Montreal since the age of three. After a university degree in history and many years' employment as a freelance translator, she joined L'Autre Montréal as a guide/researcher in 1998.